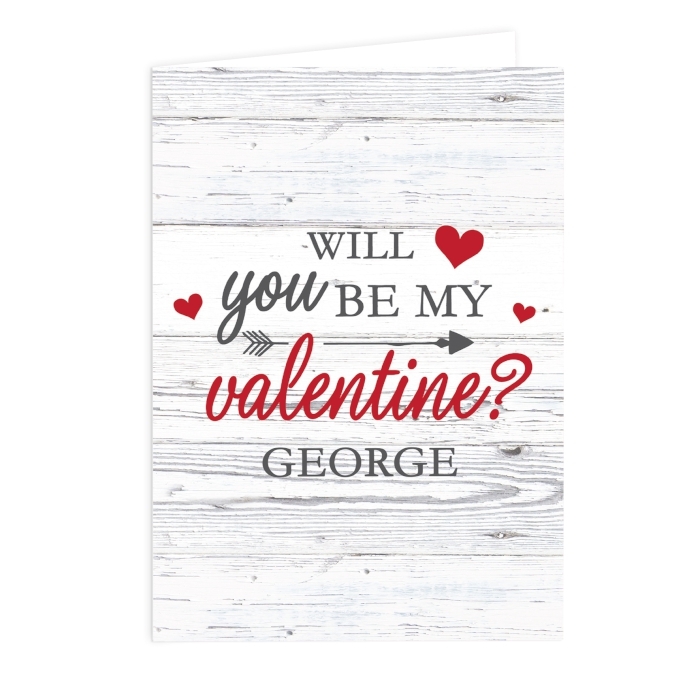 This Personalised Be My Valentine Card is a gorgeous gift for that special someone. The front of this card can be personalised with any name up to 12 characters. 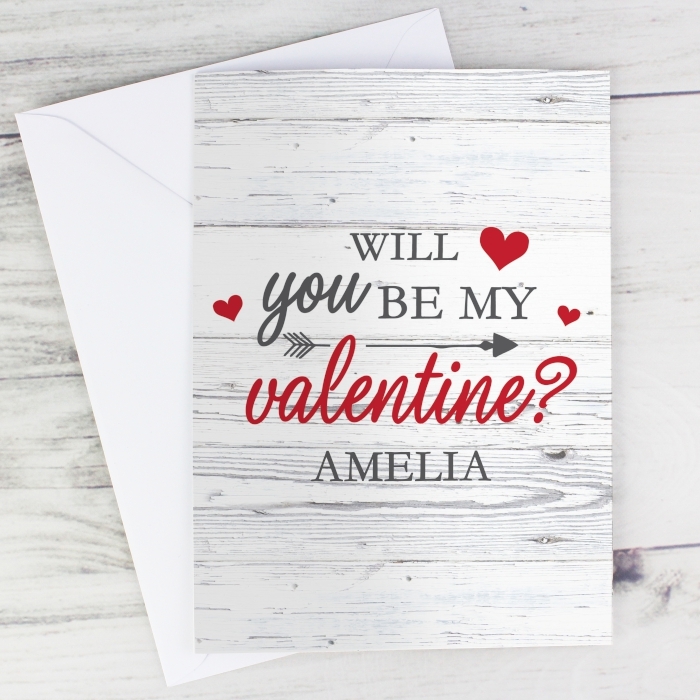 'Will you be my Valentine?' is fixed text and cannot be amended. 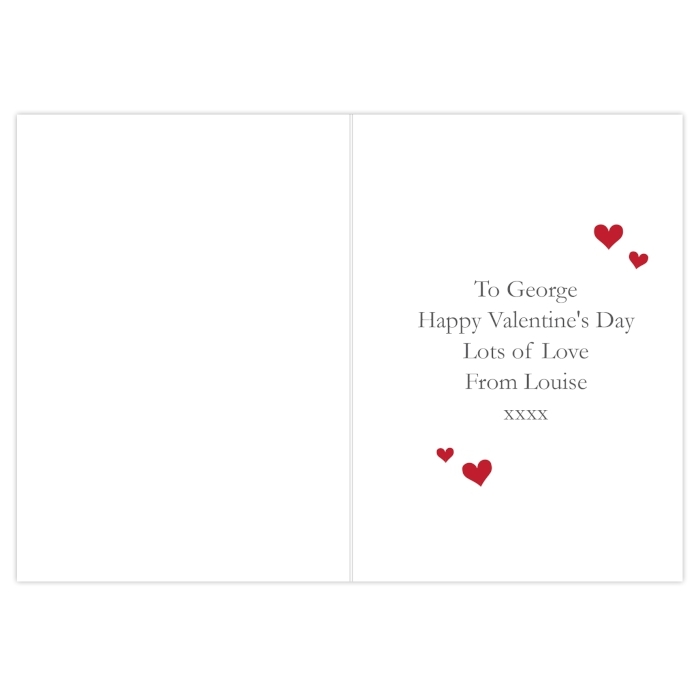 The inside of this card can be personalised with 5 lines of text, with up to 25 characters per line. The name on the front will appear in fixed upper case. The text inside the card is case sensitive and will appear as entered. All cards come in a brown outer envelope with a plain white envelope inside. Our cards measure 185mm x 132mm. 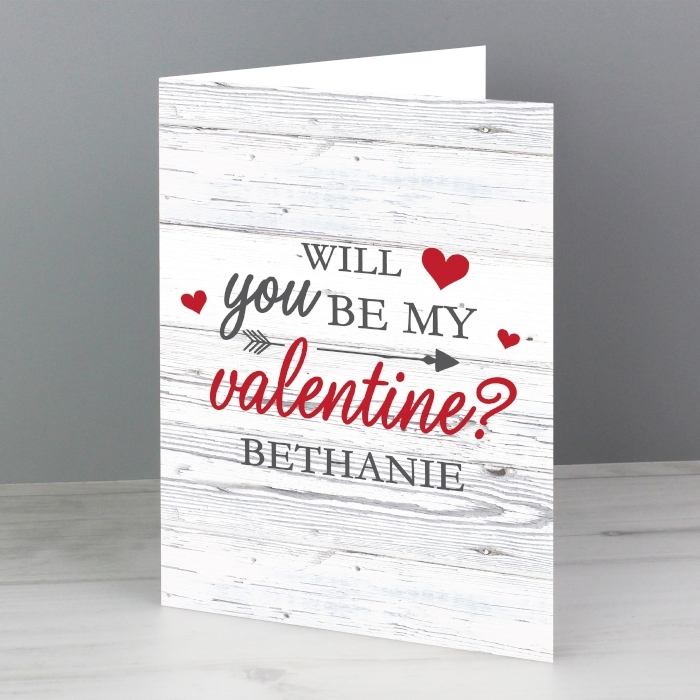 Ideal for Her, Valentine's Day. Thank you for your review, it will appear here shortly. There are currrently no reviews for this product.